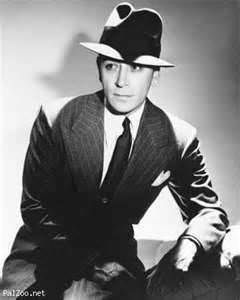 George Raft: Noir films that turn me on..
Just looking at the guy you might not think much of him but there is something in his stance, his gaze and his tightness that really says a lot about this actor. The main magical force is when you put all his qualities together and add a deep voice. He amazes me. His voice grabs me in my solar plexus and does something. He turns me on. He plays gangsters and detectives, top of the pentacle, the best! This entry was posted in "In the beginning there was a void except for the written word." The Avengers (Band) and tagged George Raft, Night time Jazz, Noir Films, postaday, Underground. Bookmark the permalink.